In a continuing effort to answer the most pressing questions from readers, today I want to address the prospects and limitations and procedures of missionaries who’s health situation requires them to be on prescription medications during their mission. The Church doesn’t say a lot about this subject publicly, so I am going to pull together all the resources I can find and hopefully it all comes together and makes sense. I am not an expert on the matter of prescription medications, but due to the many questions I get from the readers on this subject, I’m going to attempt it. My hope is that this article can answer some questions on the minds of future missionaries and their parents regarding the options and limitations for those who have to take prescription drugs. And for those questions that I can’t answer right now, I’m hoping the article can spur participation from people who do know the answers in the form of comments on this page. Nothing here should be construed as professional medical advice or official counsel from a Church leader. 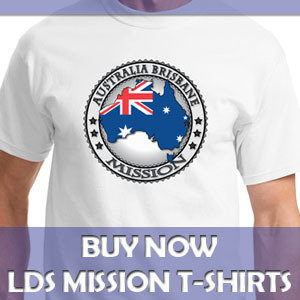 Burning Question: Can They Serve a Mission? The burning question on the minds of numerous future missionaries and their parents is: will the fact that an individual is on prescription medications prevent him or her from going on a mission or limit where he or she will be able to serve? The answer, unfortunately, is that it depends on a lot of factors. The fact that the potential missionary is taking prescription drugs usually does not prevent them from going on a full-time mission, but it frequently does affect where they can serve. There are a lot of considerations you and the Church and doctors have to make on this matter, so let’s start to unpack it. “Missionary work is not a rite of passage in the Church. It is a call extended by the President of the Church to those who are worthy and able to accomplish it. …Good physical and mental health is vital. …There are parents who say, ‘If only we can get Johnny on a mission, then the Lord will bless him with health.’ It seems not to work out that way. Rather, whatever ailment or physical or mental shortcoming a missionary has when he comes into the field only becomes aggravated under the stress of the work. …Permit me to emphasize that we need missionaries, but they must be capable of doing the work. …There should be an eagerness and a desire to serve the Lord as His ambassadors to the world. And there must be health and strength, both physical and mental, for the work is demanding, the hours are long, and the stress can be heavy” (“Missionary Service,” First Worldwide Leadership Training Meeting, Jan. 2003, 17–18). Everything I’ve read from the Church indicates that prospective missionaries that have health challenges in their life, whether physical or mental, who can get those issue under control, including with the aid of prescription medications, and have reasonable expectations to be able to do the missionary work and live the mission schedule can serve a full-time mission. While people on prescription medications can serve a mission if the guidelines above are met, where they serve may be limited due to the nature of the medication, the laws governing it’s transportation, and the ability to see doctors to keep prescriptions current. According to United States Postal Service rules, in order to send prescription medicines through the mail, you must be a registered drug manufacturer, pharmacy, medical practitioner, or other authorized dispenser. In most cases this will mean that missionaries taking prescription drugs will need to have the medications mailed to them directly by an online or mail-order pharmacy. Parents will not be able to pick up medications at their local town pharmacy and mail them to their missionary. Laws governing the transportation of prescription medications across international border can be even more problematic. As Latter-day Saint, we strive to obey the laws of the land, therefore these legal requirements have natural implications about where a missionary can serve. 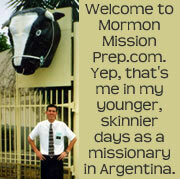 In most cases that I am aware of, and please correct me if I’m wrong, when a missionary has a medical condition requiring continuous prescription medication, then he or she is generally sent to serve a mission in the country where he or she is from. They are not usually sent to a foreign country because of the difficulties getting the medications there and also I believe the Church likes to keep them in their home country in case a medical situation arises, that they are close to their home doctors. 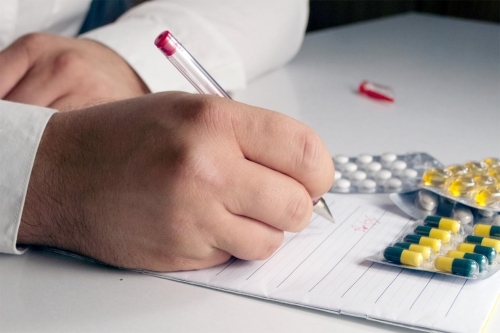 Another legal factor in this discussion that can affect where a missionary serves is that prescriptions need to be kept valid and often times that means the doctors are required to physically see the patient periodically in order to keep the prescription up-to-date. If the medical condition is relatively straight forward, like asthma or diabetes, a physical meeting with the doctor may not be required for the duration of the mission or if it is, establishing a relationship with a local doctor in the mission is not difficult. But for more complex medical conditions, like mental and emotional health disorders, periodic physical visits are often required and establishing a relationship with a doctor in a far away place is not practical. In such cases, serving a mission close to home may be the only alternative. Local priesthood leaders are in charge of making sure every full-time missionary that leaves from their ward and stake are fully qualified to serve a mission and are medically capable of performing their duties. In 2017, the Church issued a policy that bishops and branch presidents should assess the worthiness of youth and their physical and emotional preparedness to serve a mission by periodically reviewing with them a standard set of missionary interview questions in the years before their mission. In addition to testimony and worthiness topics, these questions are designed to help priesthood leaders determine whether a prospective missionary is ready for the demands of missionary service physically, emotionally, and mentally. Only those individuals who are capable of handling the rigors of missionary work should be recommended to serve. If prescription medications are required to help a missionary stay physically and mentally able to serve, they can still go, though the medical issues and drugs taken will need to be disclosed in the missionary application. If approved for missionary service and the youth receives a call, the mission president will work with the family to help ensure the missionary’s physical and mental health throughout the mission. Mission presidents are instructed to become familiar with the medical histories of each of the missionaries that arrive in the field including becoming aware of any chronic health problems, mental health issues, and medications they are taking. If you are a prospective missionary who takes prescription drugs and you feel capable of fulfilling a full-time mission, or if you are the parent of a youth in this situation, I encourage you to develop a plan with your doctor before you submit your application to the bishop. Do your homework and know where you can and cannot get the medications you need. Know where, geographically in the world, it will be possible to get the prescriptions needed or to have the medications mailed to you. Have a plan for who is going to call the doctor or go to the online pharmacy periodically to make sure the prescription gets renewed. Be prepared to discuss your plan with your bishop and stake president as you are turning in your application and fully disclose the situation in your mission paperwork. Also ask your doctor to put a helpful note in the comments section of the medical forms he or she fills out for your mission. This comment section is a good place the the doctor to explain your health situation and instill confidence in your priesthood leaders, including those at Church headquarters, that though you are taking prescription drugs, the situation is under control, you will be able to continue to take them during your mission, and that you are fully capable of serving as an ambassador of the Lord in a full-time mission. I should also warn you that if you have health conditions similar to those discussed in this article, be prepared for delays when your application gets to Church headquarters. There is a team of doctors at Church headquarters who reviews the medical portion of each mission application form. They are trained to look out for certain medical conditions and prescription medications that are often associated with missionaries who have had a hard time fulfilling and completing their missionary service. If the missionary is flagged for those health reasons, the doctors will want to be very certain you are capable of missionary service before they allow your application to proceed in the mission call process. Often times this can mean many communications between yourself, Church headquarters, your doctors, and priesthood leaders. So please be patient. Unfortunately, some health problems can present insurmountable obstacles to serving full-time proselytizing missions. The First Presidency has stated: “There are worthy individuals who desire to serve but do not qualify for the physical, mental, or emotional challenges of a mission. We ask stake presidents and bishops to express love and appreciation to these individuals and to honorably excuse them from full-time missionary labors.” (First Presidency letter, Jan. 30, 2004) In such cases, if the youth still has a strong desire to serve, young people should seriously consider a Church service mission. Church service missions allow individuals to live at home and receive appropriate medical care while serving a mission with part-time or full-time equivalent hours in a variety of functions. Talk to your bishop and stake president about arranging a Church service mission that would be a good fit and enjoyable. In summary, I hope this article has been helpful. As I began to write this, I didn’t think I would find much official information from the Church, but in the end I found quite a bit. If you have additional questions or if you have had experiences related to this topic, please use the comments section below. The road to going on a full-time mission for youth on prescription medications can be bumpy, but for many of them, it will result in serving an honorable full-time mission, which is an experience unlike any other and one well worth the struggle. Both missionaries and the people they teach are recipients of the wonderful blessings of missionary work such as growth in faith and testimony of the gospel of Jesus Christ. I hope and pray that as many as possible will have that opportunity.